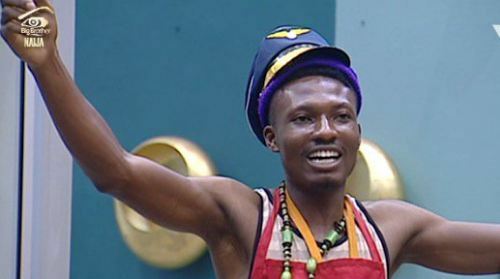 Efe has emerged the winner of Big Brother Nigeria House, #BBNaija, which ended at 9.30 p.m. on Sunday. Efe beat the multi-talented Bisola to win the N25 million star prize, a brand new Kia Sorento SUV amongst other mouth-watering prizes. Efe, an upcoming rap artiste, appeared to be the `favourite’ of so many Nigerian celebrities. Music legend, 2Baba (Innocent) Idibia; and Mavin/Roc Nation singer, Tiwa Savage; performed at the live eviction show. At the last eviction, 11 million votes were recorded. The Big Brother Nigeria 2017 began in January. It had seen the eviction of nine housemates, Bally, Bassey, CocoIce, Gifty, Kemen, Miyonse, Soma, ThintallTony and Uriel, Mavis, Debbie Rise and TBoss. Two fake housemates Jon and Ese were also shown the door. On Monday, all the surviving housemates took turns to thank Nigerians for spending their money to vote for them.